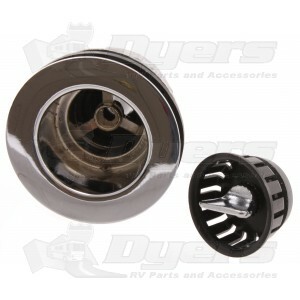 This drain strainer has a threaded basket and is great for kitchen and lavatory sinks! Baskets are designed for a sure seal but can be loosened to drain the sink while keeping items from entering your drain. Made of die cast steel. Stopper that screws in to hold water works fairly hard but does hold back water! East to install! Ease of installation! Some exertion needed to screw stopper down to retain water in sink. Looks great !